As I announced in my video on the “A Personal Challenge” blog post, Colin & I are now both taking part in a personal health & fitness challenge to break free from the beer gut causing lifestyle that seem to have been part of being an Internet Marketer lifestyle package. Now… how did it all happen and why should you join us? How it happened is quiet straight forward… Joel Therien, a successful Internet Marketer that I personally met at the WIME seminar and know online even longer, is as I write this in the Pre-Launch for his brand new 7 Minute Workout program. He contacted me a few days ago and asked if I would be interested to become an early beta tester and help him spread the word… if I like it. 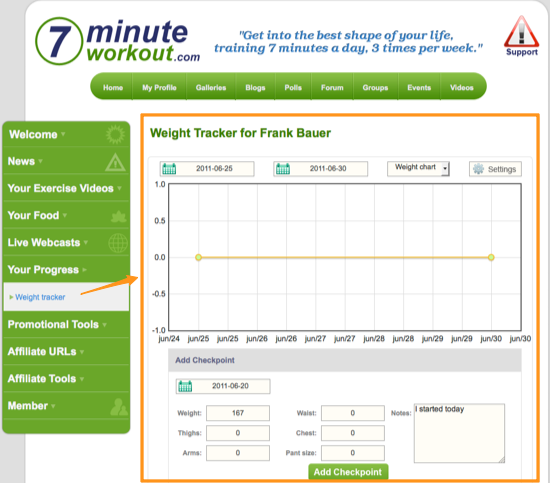 Originally I thought it’s just another “Here is a bunch of workout videos” type program and even though I like Joel and was attracted to the 7 Minute part of his program as that’s about as much as I can see myself spend on exercise time with all the work that constantly needs to get done… I was originally skeptical. 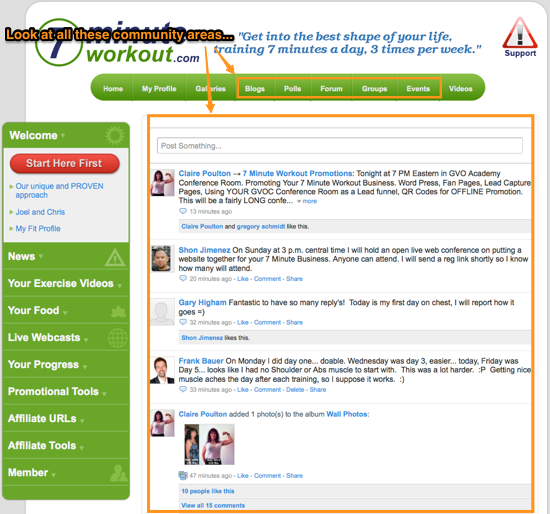 The second objection about me “spreading the word” was, that I am working in the Internet Marketing niche… and not at all in the personal health & fitness niche. What made me change my mind? 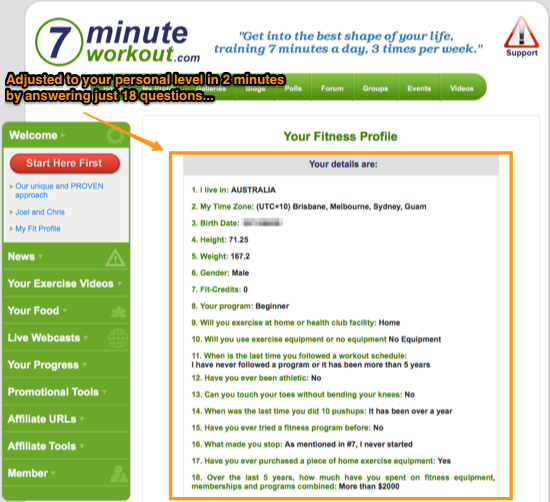 And why should you consider the 7 Minute Workout program as well? 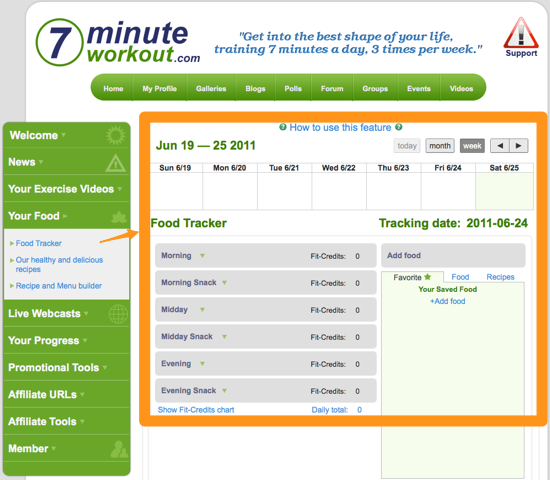 The first part is that there is so much more then just a bunch of fitness videos to Joel’s program! There is a money making aspect connected to Joel’s program and to be totally transparent, that attracted me to it as well. 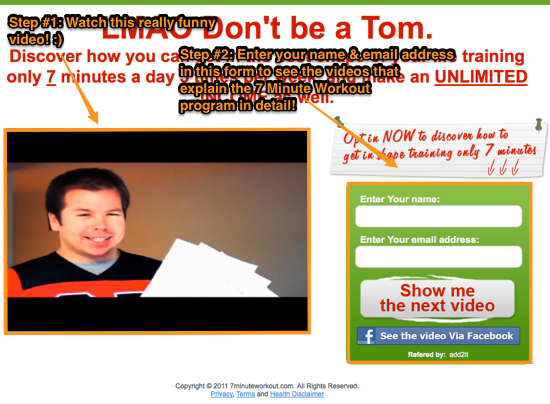 Joel explains how it works in detail in the second video that you see after you opt-in at 7MinuteWorkout.com on day 3 after joining the free pre-launch… oh, and while you are at the opt-in page, make sure you watch the video, it’s really funny. You can take these 2 steps now, or after you finished reading the rest of my 7 Minute Workout program review. Step #2: Enter your name and email into the form at 7 Minute Workout to see the first out of 3 videos that will give you all the details. I am looking forward to see you in the members area & in the best shape of your life the next time we meet at an offline event. P.S. 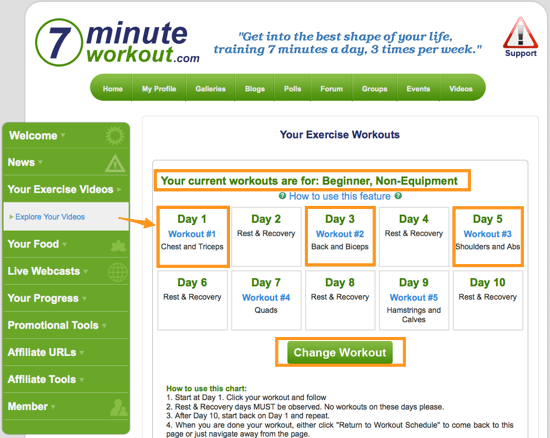 – Have you done Step #1 & watched the funny video at 7 Minute Workout? Do that now.